Brady received his doctorate of physical therapy from Grand Valley State University in 2018. 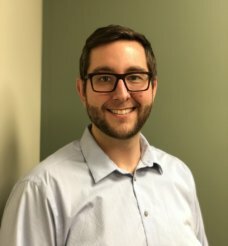 He enjoys working with a wide range of patients but has an interest in manual treatment for conditions of the spine and chronic pain. Before becoming a physical therapist, Brady spent time living abroad teaching English in Seoul, South Korea. When he’s not in the clinic, Brady enjoys exercising including martial arts, weight lifting, and sometimes even cardio. He also enjoys spending time with his wife, traveling, hiking outdoors, and the occasional video game.